Alright! Mirroring for the Mac has finally arrived. Well … for a relatively few of us. Those with recent Macs. But what are the rest of us to do? Fortunately, someone anticipated that question. So, just what can a parrot do? Installation is, of course, a breeze. 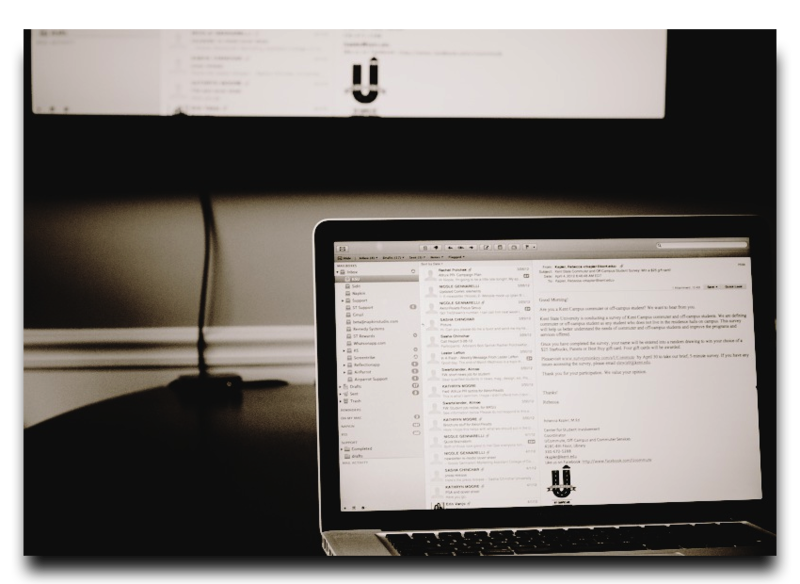 All you have to do is drag AirParrot to Applications, open AirParrot, then select the device to mirror to by clicking the AirParrot icon in the Menu Bar. And what does AirParrot provide? “1080p Mirroring. 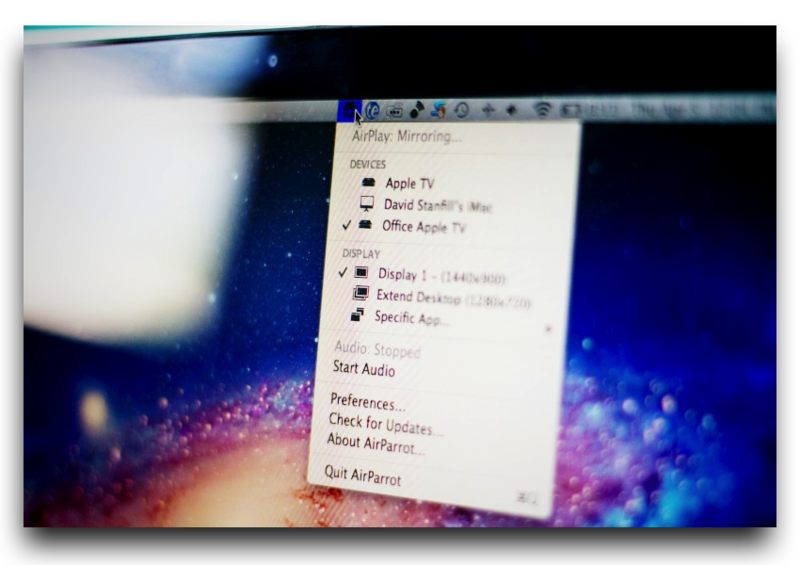 Watch videos, view images and mirror your desktop in full 1080p resolution with AppleTV 3! Thanks to AirParrot, you don’t have to have the latest and greatest. You can have to have the something recent and decent. Now, in my workflow, now that ATV3 has Hulu +, my need for mirroring is taken care of. I don’t do anything that I have a need to place my desktop on my screen. But Air Parrot does provide me with something priceless: Desktop Extension. Unfortunately, my MBP apparently doesn’t make the cut. I can’t adjust the resolution any higher than 1080p on my machine. Ergo, I can’t use Desktop Extension, the one feature that I really needed. I was hoping to place FCPX’s palettes and timeline on my 13″ and the canvases on the HDTV. But, it’s not to be. You can, however, transfer a single app to the extended screen. Can’t say I can think of a use for such a function, but perhaps you have one. Although I must say that the picture quality of my mirrored desktop was excellent. So, if you need AirParrot for mirroring, you’re most likely in luck. However, when I played a video off of YouTube, it was very choppy and AirParrot didn’t transfer the sound.Until installed the audio driver, that is. Then I was greeted with some sort of garbling sound. Most obnoxious. AirParrot also falls victim to DRM. So, anything you bought from the iTunes store (video or audio) most likely will not play. AirParrot might be mirroring for some of the rest of us. So, before trying to figure out how you can legally sell your first born on eBay so that you can purchase a new Mac to get the one function that we all desire most from Mountain Lion, I recommend that you download the free trial and see if AirParrot does what you would like it to do with your system. As for me, back to my dreamy dreams. This entry was posted on Wednesday, August 8th, 2012 at 6:01 pm	and tagged with Mac software, Utilities and posted in Reviews. You can follow any responses to this entry through the RSS 2.0 feed.